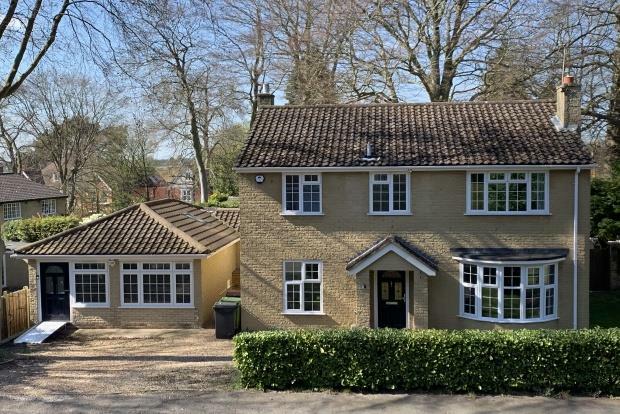 5 Bedroom House To Rent in Camberley for £2,250 per Calendar Month. FIVE BEDROOM, THREE BATHROOM DETACHED HOME Offered to the market is this modern and spacious five bedroom Charles Church â€œAlinghamâ€ design. This stunning family property is offered unfurnished and boasts fantastic living space and finished to a show home standard. This property has been designed to an exceptional standard and would offer perfect dwellings for those seeking charm blended with a modern touch. This detached family residence is ideally located for Camberley train station, town centre and local schools and amenities. The property is located in a cul-de-sac location and also benefits from a spacious living room, separate study/family room, a large kitchen/dining room which provides open plan entertaining and a separate utility room. The property benefits from five double bedrooms, with the master benefitting an en-suite and fitted wardrobes. The fifth bedroom is located in the converted annexe and has an en-suite with a walk in shower. The property further benefits from driveway parking, a well maintained tiered garden, gas central heating, double glazing and ample storage. Available immediately. CALL NOW TO AVOID MISSING OUT!! !